The lovely people of Varnish Software invited me again to speak at the Varnish Summit in Copenhagen. Last year, I also got invited to speak at their Summit in Amsterdam and apparently they were happy with my performance. 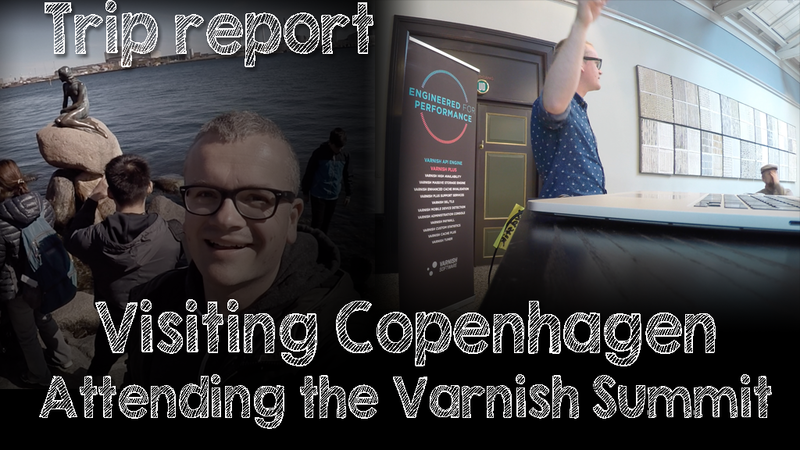 The Varnish Summit in Copenhagen took place on April 21st at the Carlsberg Museum & Business Center. I’m not a beer fan at all and I don’t even drink alcohol, but that Carlsberg venue was pretty awesome! In essence this was a business trip, but I decided to bring my family and turn it into a family trip as well. The presentation went great! I was asked to deliver a talk about the Varnish Configuration Language (AKA VCL). I decided I would turn it into a very accessible and practical talk about “Common scenarios in VCL”. In theory, Varnish can do quite a lot out of the box, because it respects the rules of HTTP. That’s because most websites are infested with (tracking) cookies which Varnish doesn’t cache. The presentation is full of VCL examples that tackle common scenarios. Dealing with cookies was a focal point of this presentation. Although the crowd was very mixed and there were some true experts in the room, this 101-style talk at the Varnish Summit Copenhagen got really good feedback. And at the least people were entertained. 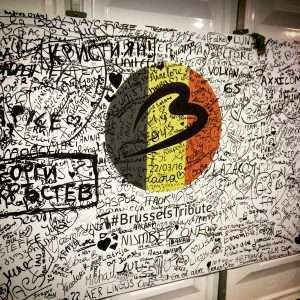 I really wanted to fly out of Brussels Airport and I really wanted to fly Brussels Airlines. After the terrorist attacks in Brussels, air travel in Belgium became somewhat of a nightmare. But the national airline and the airport did everything they could to resume their operations. It was announced that traveling to the airport would take a lot more time, there would be more security checks and there would be long queues. I prepared myself for that and decided to arrive at the airport the day before my flight and stay at the Sheraton Brussels Airport. 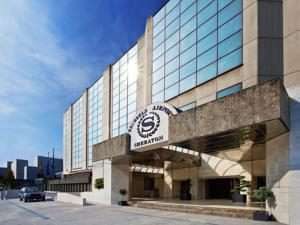 The Sheraton is located right across the departure hall, which was blown up during the attacks. I had to take a series of elevators to make it to the hotel. But once I was there, everything was nice and quiet. Although the area was sealed off, I still managed to get a glimpse of the reconstruction of the departures hall. I’m proud to say that people are working day and night to make the airport fully operational again. Keep up the good work! There’s currently an improvised departures hall that was built at the lower level of the airport, where busses depart and the car rentals are arranged. The hall is built out of big tents and there’s tons of security: a huge amount of police and military. I really appreciate their work and dedication, but I wonder how long this situation will last. Is this a sustainable security model? I don’t know. Our flight was at 9h30. We were advised to be there 3 hours before departure. It took us a bit over 90 minutes to get through the 2 security checkpoints and get our luggage checked. The amount of check-in desks was very limited, but as a Brussels Airlines passenger, the queues weren’t too horrible. Because we were traveling with a 2-year old in a stroller, we had to take a separate lane that took us to a sealed-off area of the tarmac into a separate building. There was a dedicated security checkpoint for wheelchairs and strollers. The was way too small and it quickly turned into a mess. But again: I can live with that given the situation. Once we were through security, it was business as usual and a drama-free experience. I wanted to keep my travel to the Varnish Summit affordable. I know it’s a bad idea, but I decided to book the tickets for my wife and son using miles and in economy. I booked an economy ticket in the Brussels Airlines “Light&Relax” class. I booked my wife’s flight using 6000 Partner Plus Benefit miles. I booked my son’s flight using 28000 Miles&More miles. 24 hours prior to departure, I decided to check us all in through the online portal. But I couldn’t find any seating where we could all sit next to each other. Turns out that Lufthansa puts passengers that use miles on Brussels Airlines on the highest economy class. In our case that was “Flex&Fast”. Those passengers have a section of the plane for them and get free food and drinks. I couldn’t select those seats. Luckily the excellent crew allowed me to sit next to my wife and son (the seat was empty on both segments) and have free food and drinks. So remember: booking a Brussels Airlines economy flight using miles gets you into “Flex&Fast”. Heck, for some reason they even upgraded my wife to “Bizz&Class” which is their business class product. But we didn’t take advantage of these perks, because we wanted to stay toghether. Breaking down the numbers: I paid 140 EUR worth of taxes using the Partner Plus Benefit miles. I know that’s a bad deal, given the value of the economy ticket, but a paid “Light&Relax” ticket costed more than that. The award ticket for my son was 10000 miles and normally he’d get a discount (7000 miles), but because I paid the taxes using miles (18000 miles), the discount didn’t apply. I agree I didn’t get the most out of my miles. But 140 EUR for 2 tickets in “Flex&Fast” was acceptable to me at that point. The second and third night of our trip we spent in Hotel Sct. Thomas in Copenhagen. This was the hotel that Varnish Software booked for me and wasn’t that far from the Varnish Summit at the Carlsberg museum. The hotel was charming, the staff was friendly, the rooms were clean. But beyond that this is not a place I would return. It’s in the Frederiksberg area, so not quite where the action is. The hotel itself has really small elevators and is not easily accessible with luggage. Our stroller couldn’t fit into the elevator, so we needed to put it in the alley next to the hotel, right next to the bikes and garbage. The alley was closed-off with a gate though. The hotel offered limited service, there isn’t really a bar or a restaurant where you can get food. The housekeeping services are also very limited. But the staff was very friendly and helped us whenever they could. I guess I’m just too used to big chain hotels. Maybe you would like this charming family-style hotel. 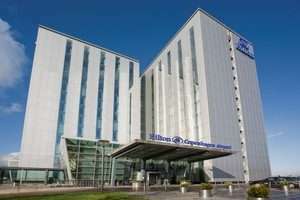 For the sake of convenience, we spent our last night at the Hilton Copenhagen Airport. I decided to go all-out and spent a whopping amount of 76000 Hilton Honors points to book a King Executive Plus room. So yeah, I cleaned my Hilton Honors balance and got a very nice room. The room itself was huge, it had plenty of space to but the baby crib. I had a big desk, a huge bath room and lounge access. The executive lounge wasn’t spectacular at all, but at least I managed to get some free drinks. The restaurant was big and offered a great breakfast. As a Hilton Honors Gold member, I got free breakfast and premium wifi. I can definitely recommend both the Sheraton Brussels Airport and the Hilton Copenhagen Airport. Especially if you’re looking for convenience when you have an early flight. Doing a city trip with a 2-year old is OK, but you have to make sure the kid some fun too. Walking around all day in a stroller gets them cranky at some point. We decided to spend the afternoon of our first day in Tivoli. Tivoli is an old-school amusement park right in the center of the city. It had some great rides and was such a refreshing experienced, compared to your typical amusement park. It had a variety of rides and the older rides were especially charming. The whole place didn’t seem that commercial (although all of these parks are, right) and there were almost no queues. You can choose to pay for certain rides or book an unlimited ticket. 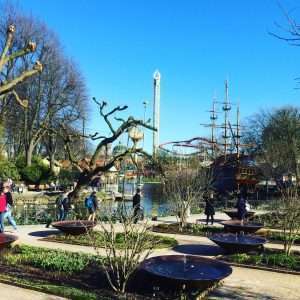 I would definitely recommend Tivoli and wouldn’t mind visiting it again. You’d be surprised how big it is. Or maybe they just kept it very compact. While I was at the Varnish Summit, my wife went to the Zoo. She liked it, my son liked it. Bingo! We also walked through the city center and checked out the buildings and the shopping streets. Copenhagen is a very clean, safe and quiet city. The last day we went to see the royal palace, the changing of the guards and ended with a very enjoyable boat ride on the canals. 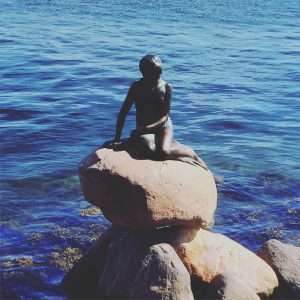 And of course we went to the statue of the little mermaid. I’d like to thank Varnish Software for inviting me to their Copenhagen Varnish Summit. I had a lot of fun and found the Summit to be very interesting. I saw some good talks, met some interesting people and even managed to record a new episode of my video blog & podcast.